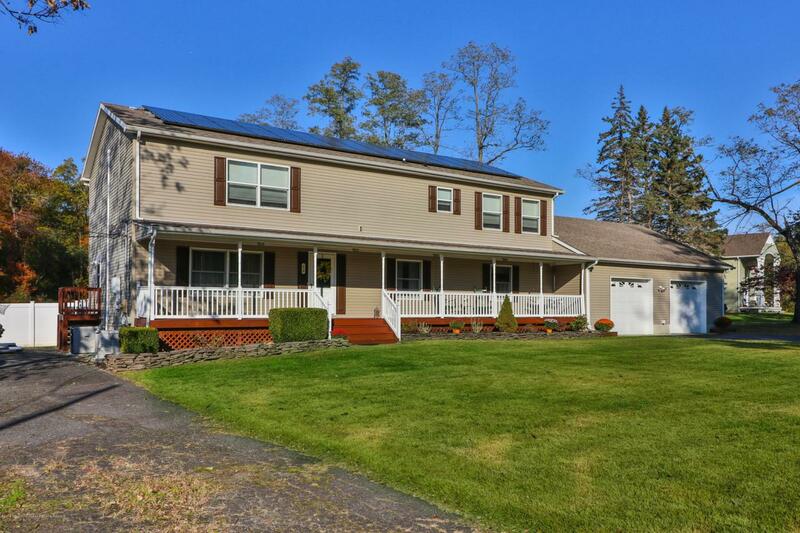 This Home had been Upgraded & Modified to meet the needs of every family. An Amazing outdoor space Situated on approx. 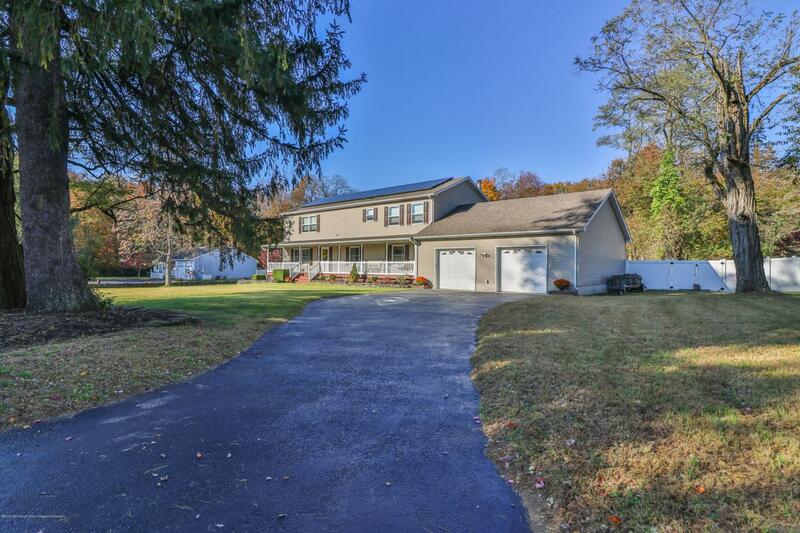 2 Acres of Land Just a short walk to the Manasquan Reservoir gives this property it's own walking path and plenty of outdoor activities. The home's layout allows for space & comfort for growing families. The Sunroom w/ Wood Stove overlooks an In ground Pool w/ stamped concrete patio. Kitchen includes all Newer stainless Appliances, Custom Cabinetry surrounded by Ceramic Tile, Center Island & separate entry off driveway. Master Suite is spacious w/ Fireplace, Walk-in Closet & Full En Suite. 3 Bd upstairs with Full Hall bath & Bonus Storage Rm off Hall. 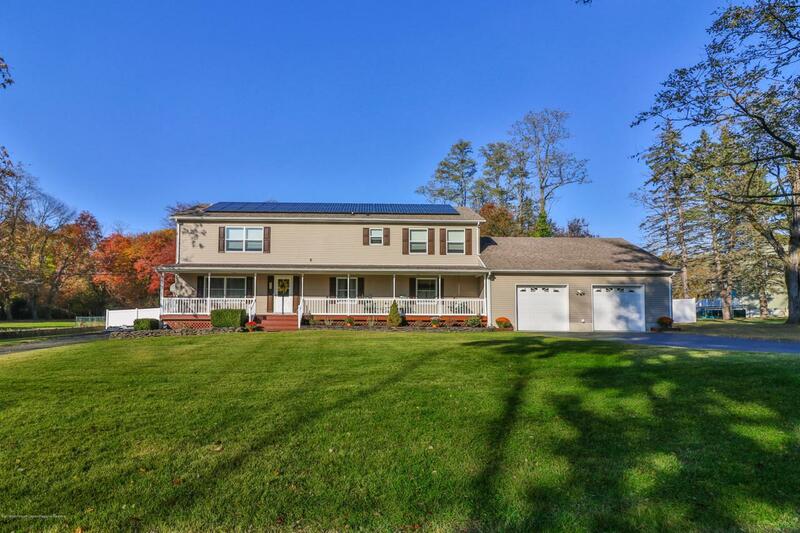 Oversized Garage w/ Above Storage, Equipped w/ Solar & Full House Generac Generator.Basement has been Finished into two separate living ares, along with adjacent unfinished areas for utilities and storage. Pool Includes stamped concrete surround, Outdoor Pool Shed for equipment or Drinks, Oversized Garage has enough room for 4 cars to park, Drive Through feat. w/ Rear entry bay door for access to backyard. Plenty of space for workshop and storage above. Two Separate Driveways are perfect for guests of any number. Listing information © 2019 Monmouth-Ocean MLS. Listing provided courtesy of Alfred J Brenner of C21/ Action Plus Realty.